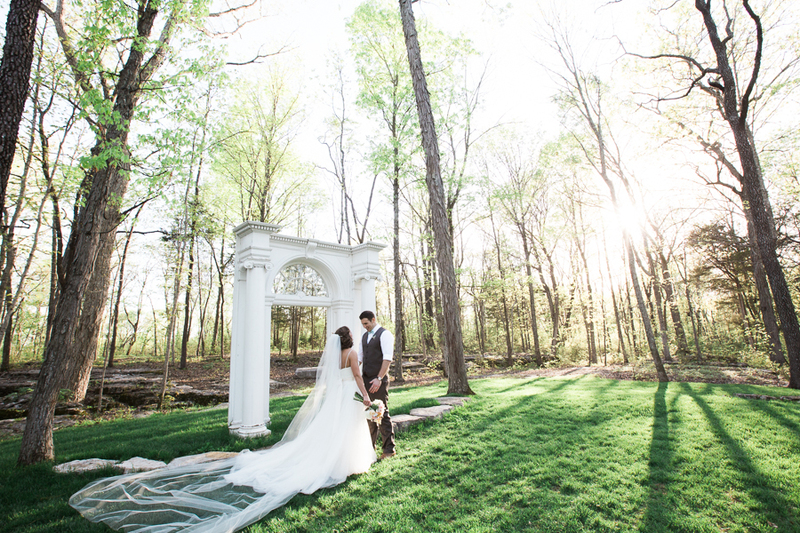 Laura and Callum recently got married at the gorgeous and rustic Wrens Nest in Murfreesboro, Tennessee, just outside of Nashville. 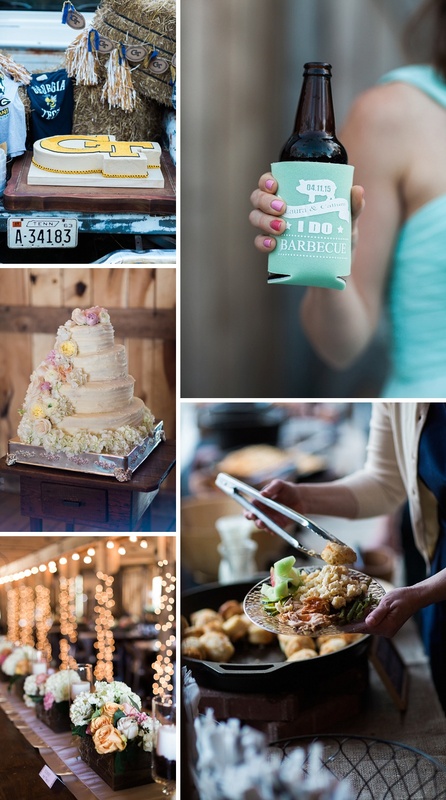 They called it an ‘I Do Barbecue!’ and it was just as laid back and fun as it sounds! 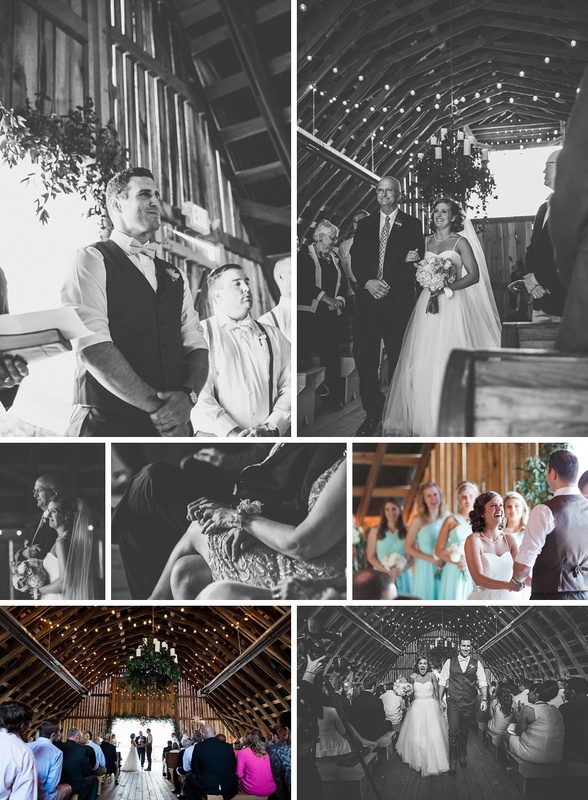 Corn-hole, smores by the fire and a barn loft ceremony and reception created the perfect atmosphere for Callum’s family from Scotland to experience a real Nashville wedding! 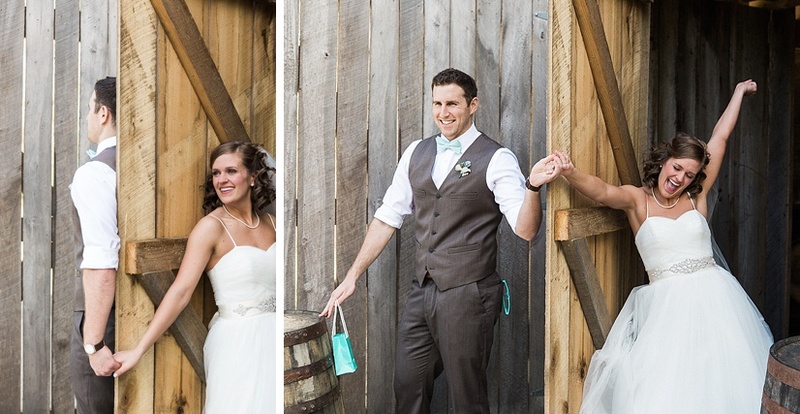 The bridesmaids were fun, bright and cheerful in their sweet blue dresses and the flowers just bursted with spring color! Laura was glowing all day and could NOT stop grinning and laughing. 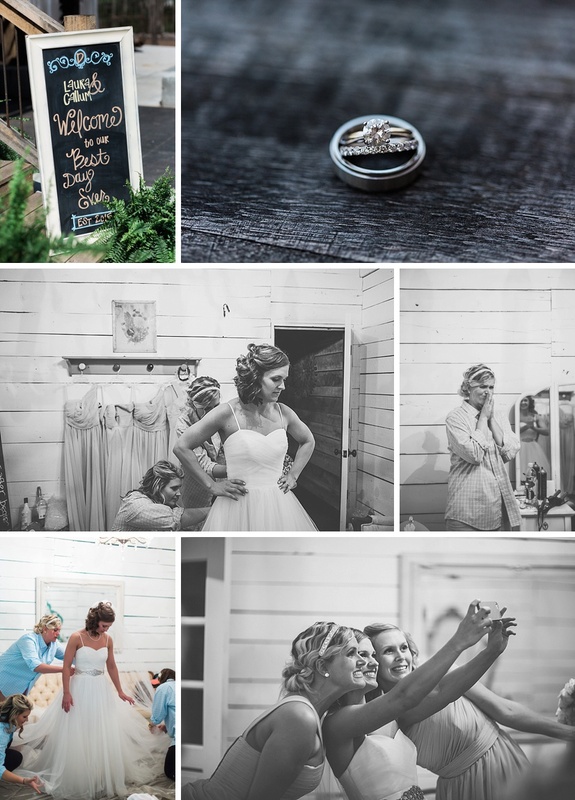 I just adore a happy joyful bride! 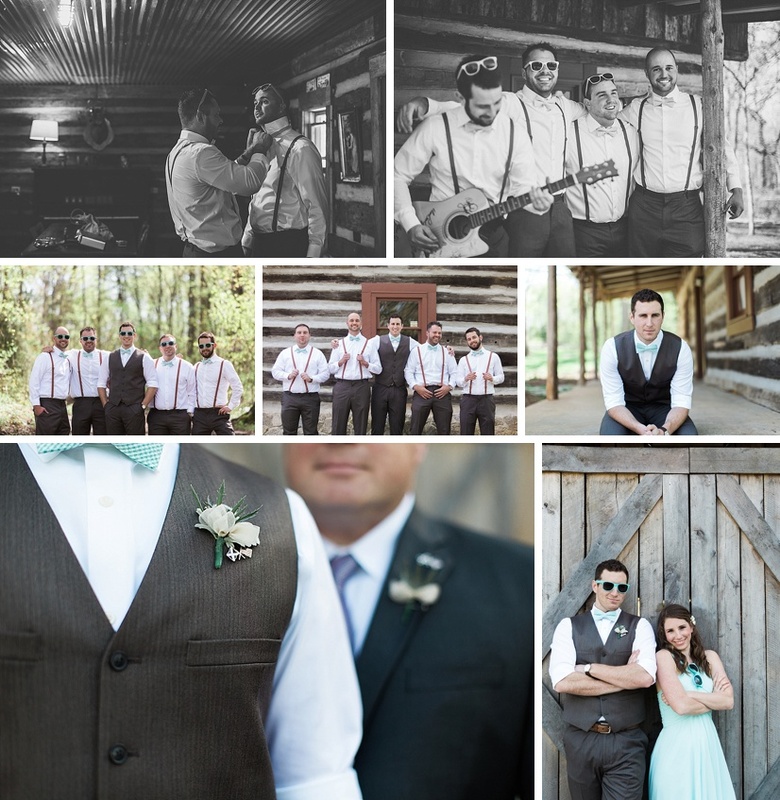 The guys sported gray suits and bright ties to match. 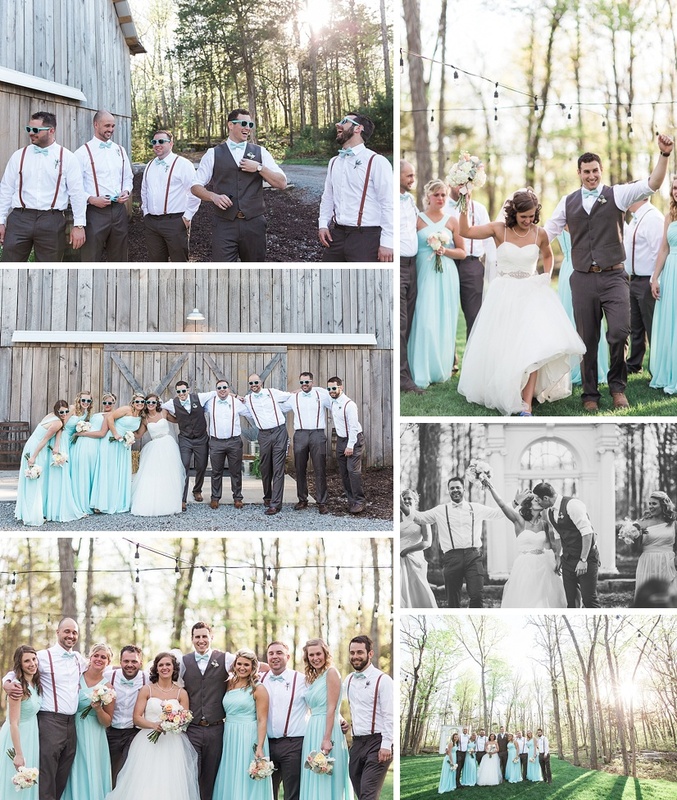 I loved that the wedding party wore matching seafoam wayfarers, too! 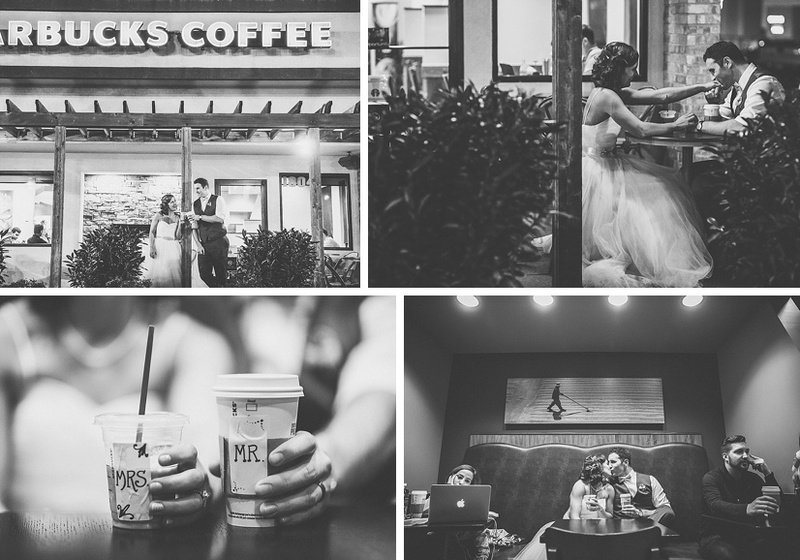 We ended the night with a few photos where it all began for Laura and Callum… Starbucks! 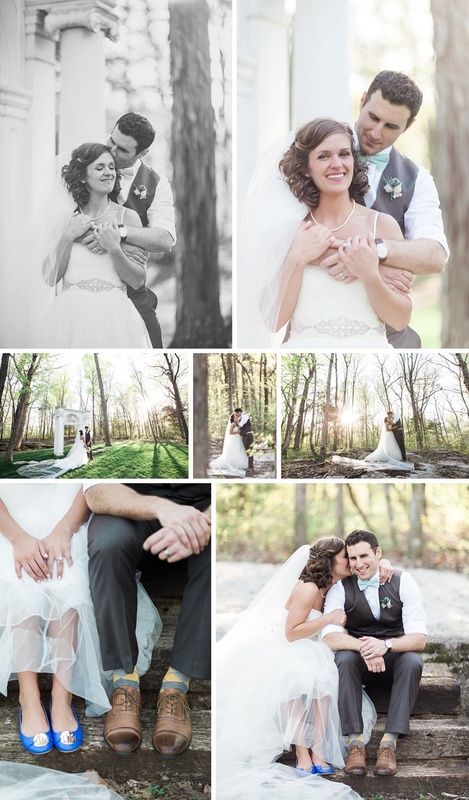 The couple had their first date over coffee and wanted to go back to reminisce. 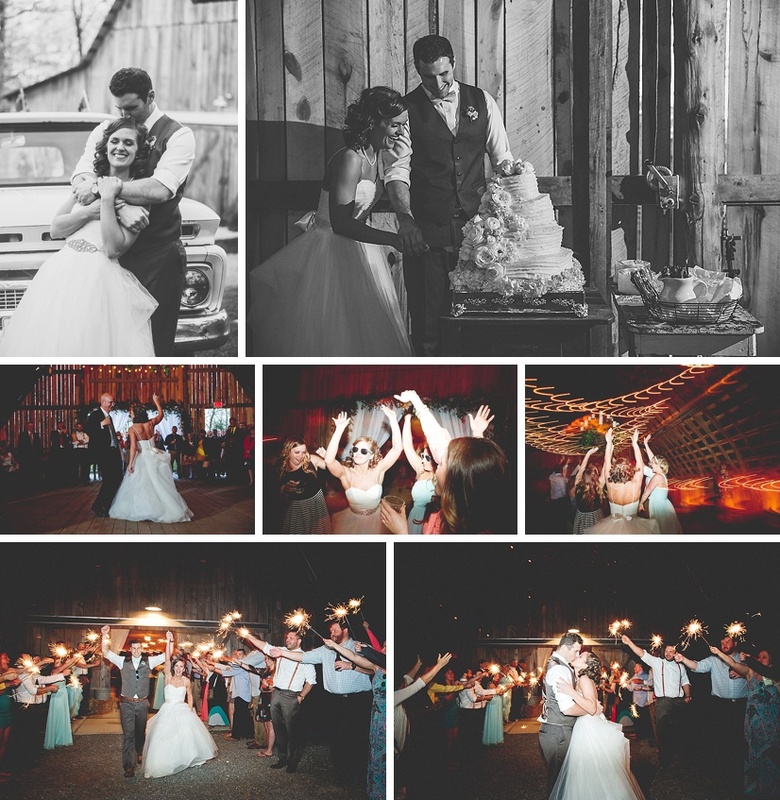 You can view the full wedding gallery and slideshow for more HERE.